Product prices and availability are accurate as of 2019-04-05 02:47:19 EDT and are subject to change. Any price and availability information displayed on http://www.amazon.com/ at the time of purchase will apply to the purchase of this product. 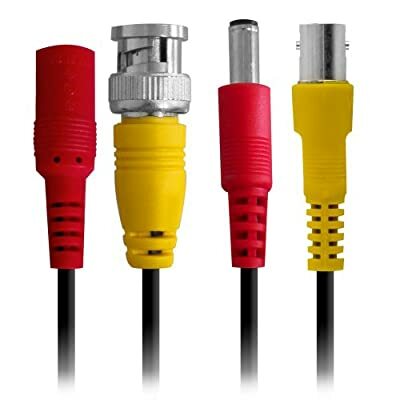 Defender in-wall, fire-rated 65ft security camera extension cable connects any Defender security cameras to security systems with BNC connections. These cables are UL and FT4 rated so that they may be installed in between walls and floors.